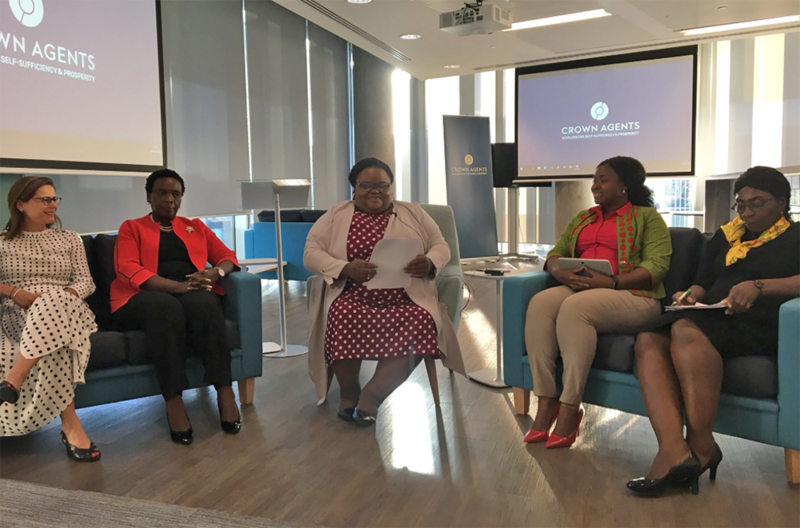 I recently celebrated my one-year anniversary as CEO at Crown Agents by attending a fantastic Crown Agents Foundation panel discussion on leadership. The event explored many of the themes of leadership I’ve seen during visits to Crown Agents projects across the globe this year, from South Sudan to Singapore via Nepal and Sierra Leone. What is certain is that a new type of leadership is coming to the fore as countries around the world tackle issues such as trade barriers, poverty, inequality, climate change and government inefficiency. Our Regional Director for West Africa, Comfort Sakoma (a force-of-nature in her own right), chaired the session and we were joined by leaders from Ghana, Kenya and Crown Agents to discuss how organisations like ours can help enable leaders at all levels to drive change for their people, institutions and countries. Leadership diversity, from the state house to the school house, is pivotal to driving an inclusive culture. This has been seen in Rwanda, where the government has driven a shift in gender balance at the highest level, resulting in a cabinet of more than 60% women. Rwanda is a great example of the changes in government that can happen when those at the top commit to equal representation. Nurturing female leadership is key to such shifts – which is why our women’s leadership and management training provides a stimulating space for women to share their experiences, build their confidence and develop their skills. We’ve seen this in the heart of Europe, where Ulana Suprun, the Acting Minister for Health in Ukraine, is driving the bold public procurement reforms in Ukraine. The reforms are tackling endemic, institutionalised corruption in order to give citizens the health service that they deserve. We’re now seeing the money saved there converted into lives saved, with a 20% reduction in heart attack deaths measured in 2017. We’re really proud to be procurement partners in that journey. This has taken courageous leadership from the government, supported by the determination of civil society to rally for change and stand up to powerful, entrenched corruption. A single agent of change like Ulana Suprun can be a powerful thing, but in order for change to be transformative, we need coalition of multiple agents to solve problems. The historic reforms in Ukraine are due to leadership at the government and civic level, as well as a contribution from procurement agents. Change doesn’t come from taking a cookie-cutter approach to reform. That’s why bringing together a broad set of players to unite behind policy shifts and reform efforts is essential, a theme that came up again and again during the panel. With the right enabling environment, the private sector can be an agent of accelerated socio-economic change. The role of government in enabling this environment is key, a point Mary spoke to throughout the discussion, drawing on her decades of experience as a lawyer. Similar conversations emerged at our ‘solutions breakfast’ held in partnership with Russell Reynolds Associates in Nairobi earlier this summer. Here private sector leaders discussed the barriers to investment and the importance of creating the right incentives to encourage big infrastructure investments. Leaders need to train and build capacity of their people – and nurture other leaders, including those in the private sector, rather than cling to control or power – in other words creating ‘authorising environments’ for change. We need to move away from a ‘development by anecdote’ approach towards evidence-based policy making. Sharing knowledge lies at the heart of this. In Ghana, President Akufo-Addo’s bold call to a ‘Ghana beyond aid’ has been received as a clarion call across Africa to galvanise the skills, resources and potential of the continent to drive prosperity and self-sufficiency from within. Supporting a cadre of educated, tech-empowered youth will be key to this, which is why it was so inspiring to see the results of our Complementary Basic Education programme which has enabled 250,000 out of school children to get back into, over half of them girls. 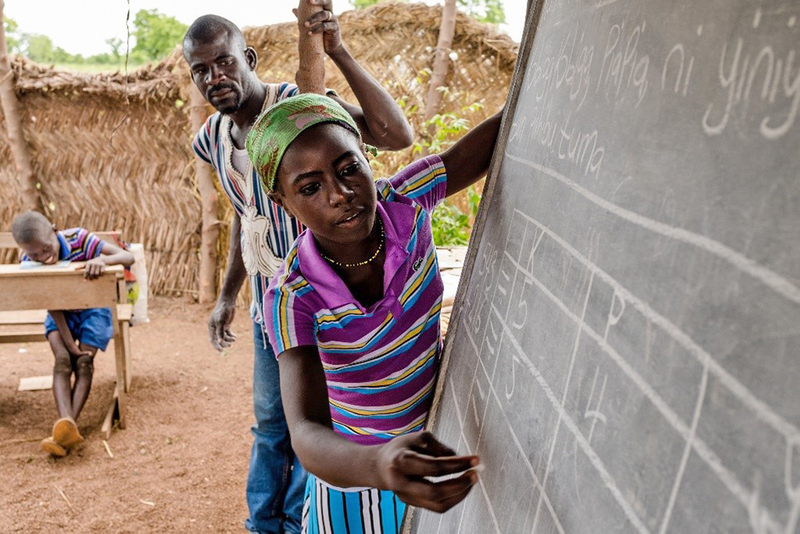 The success of Ghana CBE has been driven by a model that encourages the sharing of lessons across a broad cadre of implementing partners – from local NGOs to global non-profits like Crown Agents. It’s been a huge privilege to learn from leaders from around the world, men and women, teachers and legislators, during the last twelve months. Going into my second year I want to take these lessons on leadership and use them in Crown Agents work partnering with leaders to accelerate self-sufficiency and prosperity.